Just like new! This amazing home is 3.5 years young and is loaded with upgrades like framed windows, crown molding, upgraded laminate flooring and so much more. The spacious yet cozy family room features a gas fireplace and opens to the living room and kitchen. You’ll love all the space the kitchen affords with it’s island and large pantry. Cooking will be a breeze with your stainless steel appliances, ample recessed lighting and upgraded cabinetry. Spacious dining room! A plethora of windows bring in so much natural light! Upstairs you’ll find four large bedrooms. The master bedroom features a sitting area, large walk in closet and en suite bathroom. The laundry room and family bathroom finish this level. Unfinished basement. Amazing backyard! You’ll love this neighborhood! 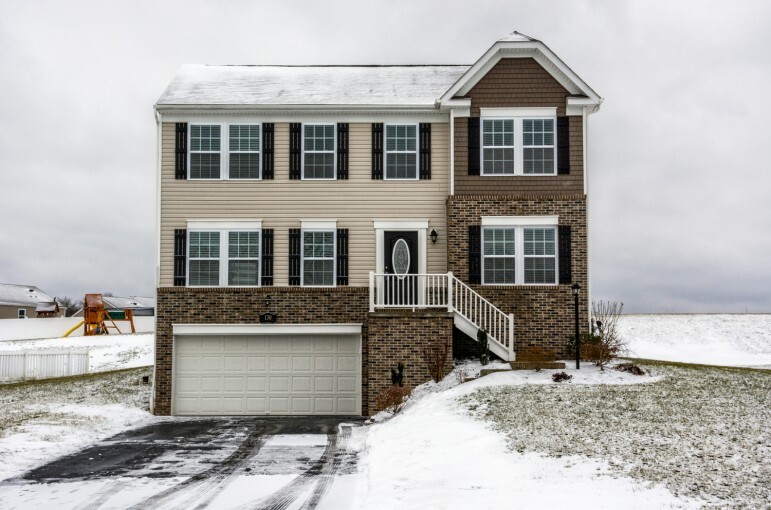 Serviced by the award-winning Seneca Valley School District and conveniently located with quick access to 79, the turnpike, restaurants and shopping yet quiet, peaceful atmosphere! The best of both worlds!